Robert Anderson has been performing, recording, and composing in the Los Angeles area since graduating from the University of South Carolina in 2000. He was a founding member of the jazz string quartet Supernova from 2002-2005 and is currently performing with pioneering electric jazz trio Eartha Austria, country artist Angela Wood, pop/rock band Uncle Daddy, and Bear McCreary’s Battlestar Galactica Orchestra. Other notable performances include stage and television appearances with Katie Melua, Paul Oakenfold, Rihanna, and Pink. As co-founder and music director of String Project Los Angeles, established in 2006, Anderson enjoys teaching the art of improvisation and encouraging musical creativity in young string players. An active clinician for Yamaha Strings, Anderson travels throughout the US to educate teachers and students about creative string playing. 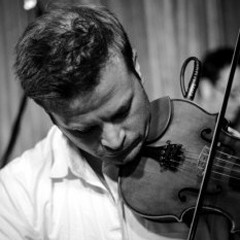 He is co-director and arranger for the Electric Chamber Orchestra at Lincoln Middle School in Santa Monica, CA, and is a violin coach for the Santa Monica High School orchestras and the “Elemental Strings” program.Anderson is a faculty member of the USC Thornton School of Music’s Popular Music program, teaching jazz and alternative violin.